Unless you’ve been living in Asgar for the past 16 years, chances are you’ve seen a Marvel movie. These big, fantastical blockbusters have had a huge cultural impact, and good or bad there’s a moment in each Marvel film that will put a smile on your face. That’s right – we’re talking about the momentary appearance of the man who is responsible for the creation of the Marvel Universe, Stan Lee. Blink and you’ll miss him, but catching a Stan Lee cameo in a Marvel movie is one of the small pleasures in life. You’ll sneak a quick look to your friends, mouth the word “Excelsior,” and all acknowledge seeing the iconic figure. 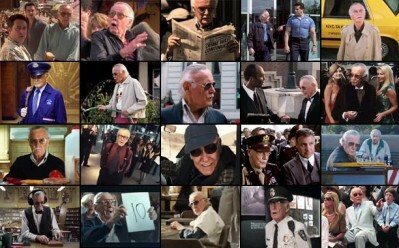 Since Stan Lee will be making his last Canadian convention appearance ever at FAN EXPO CANADA this year, we decided to look back at all of his cameos and highlight a few of our favourites. 3. Stan Lee dances to classical music while Spider-Man and the Lizard fight. 4. Stan Lee tries to pull Thor’s hammer out of the sand in Thor. 5. He even made an animated appearance after the credits in Big Hero 6! Catch Stan Lee at this year’s Fan Expo Canada, taking place at the Metro Toronto Convention Centre September 1-4!